Just in case you have ever wondered where your ornamental banana seed came from. (Other than seed suppliers). These particular pictures were not taken in the garden featured on this site. 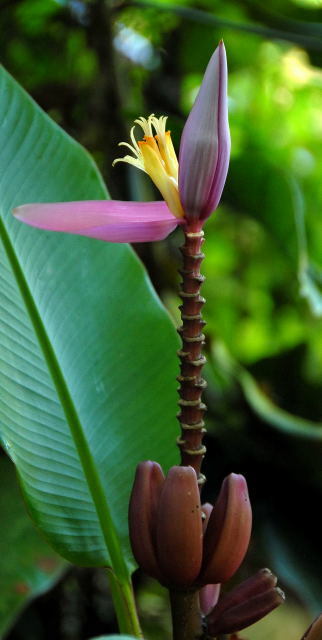 However it is certainly possible for your banana plants to produce flowers in cooler climates. 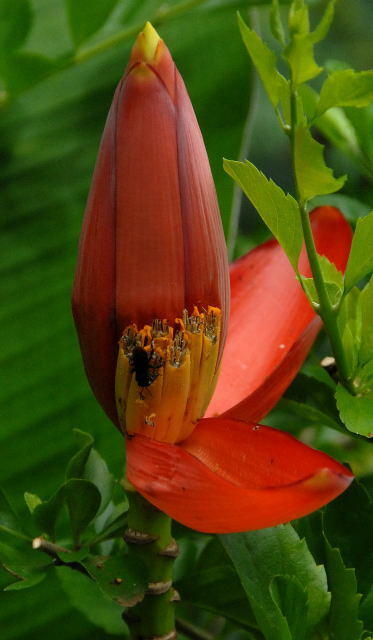 The picture below is of a red banana flower. (Perhaps a little too intrusive from the bee's perspective). 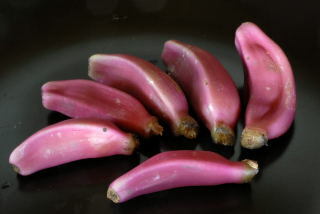 When no one was looking, a few of the ornamental bananas were removed for closer inspection. An even closer view of the green variety. 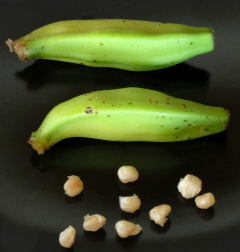 The seeds are quite large in proportion to the fruit compared with a conventional edible banana. 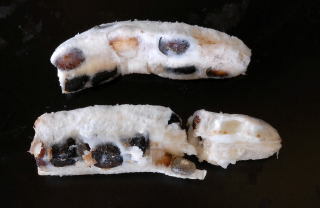 They can be seen bulging within the fruit. 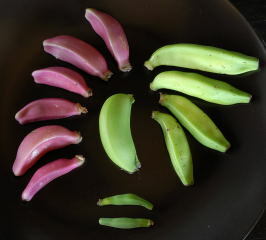 The pink bananas also exhibit a high seed to flesh ratio as can be seen in the photo on the right. Good dental cover is probably a sensible idea before attempting one of these for lunch. No attempt was made to germinate these seeds as it would have been irresponsible to bring them home wouldn't it.